Stars gathered in Los Angeles Monday night for the Emmys, the biggest awards ceremony in American television. It was the 70th anniversary of the Emmys. And this year, fewer people watched the three-hour-long broadcast than ever before. The television ratings may have suffered, but there were still reasons to celebrate for many of last night's Emmy winners. 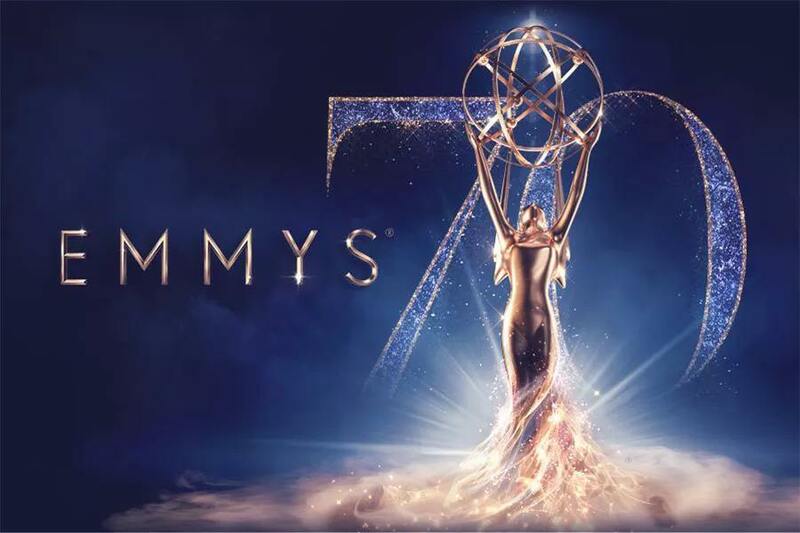 Amazon's The Marvelous Mrs. Maisel became the first internet series to win the Emmy for best comedy. It also won seven other awards for writing, directing and acting and more. HBO's Game of Thrones won the best drama series award for a third time. The show's eighth and final season begins next year. Game of Thrones took a total of nine awards Monday, more than any other production. The long-running NBC comedy show, Saturday Night Live, was the only traditional broadcast show to be honored at this year's Emmys. And it won a lot of awards, tying with Mrs. Maisel for eight. Critics noted that the award winners this year were not a very ethnically mixed group. Yet the group of the nominees represented the most diverse group in the history of the Emmys. Twitter user April Reign, who created the #oscarssowhite movement on Twitter, posted a series of tweets about the Emmys. In one post, she wrote: "Let's talk a bit more about what "diversity" is and isn't, and whether that should be the goal. Last night, @TheEmmys Chairman/CEO Hayma Washington encouraged everyone to give themselves a round of applause for diversity. But... why?" Some social media users also had other criticisms of the awards show. They said hosts Michael Che and Colin Joste lacked in humor. Critic Dominic Patten wrote, "Turns out going with two hosts instead of one did not double the fun at the 70th Primetime #Emmys tonight." The crowd did seem to enjoy some moments at the awards ceremony, such as Betty White's appearance on stage. The audience stood and cheered the 96-year-old television comedy star for more than a minute. Another standing ovation went to Henry Winkler, who won a supporting actor award for HBO's Barry. It was his first Emmy win in his more than 40-year-long career in Hollywood. Winkler gained fame in the 1970s for his part in the hit television show Happy Days. Winkler told the crowd, "If you stay at the table long enough, the chips come to you," Then, he jokingly told his adult children that they could go to bed now. "Daddy won," he laughed. Director Glenn Weiss brought some romance to the Emmys after being recognized for his work on the 2018 Academy Awards broadcast. Weiss used his Emmy award acceptance speech to propose marriage to his girlfriend Jan Svendsen. He spoke to her from the stage. "You wonder why I don't want to call you my girlfriend?" he asked. "It's because I want to call you my wife." The crowd went wild with cheers. Svendsen looked both surprised and very pleased as she joined Weiss on stage. Grimm is an American police procedural fantasy television drama series. How many comedy stars does it take to make a Hollywood star laugh? If there is no training agreement, it shall be subject to the relevant rules of the country. 5.Twitter user April Reign, who created the #oscarssowhite movement on Twitter, posted a series of tweets about the Emmys. 6.Game of Thrones took a total of nine awards Monday, more than any other production.